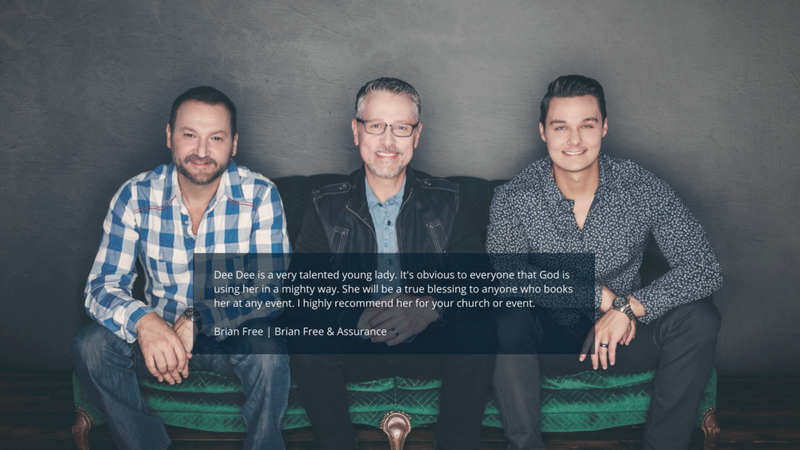 Inspired at a young age by artists like Dennis Jernigan, The Crabb Family, The Martins, TaRanda Greene, David Phelps, and the Gaither Vocal Band, Dee Dee realized the power of sharing the Gospel through music. A gifted vocalist and pianist, Dee Dee's unique musical style has captured the attention of congregations and audiences of young and old alike. Along with her musical talent, Dee Dee brings an inspirational testimony of what God can do through adoption, and how God can use what seems to be a hopeless situation, and make it something beautiful. She has opened for both regionally and nationally recognized artists including Brian Free & Assurance, Joseph Habedank, The LeFevre Quartet, Adam Crabb, The Whisnants, Tribute Quartet, Soul’d Out Quartet, Mercy’s Well, and The Resurrection of Faith Tour. She has also led worship for church services, youth events and retreats. Dee Dee is excited to share her gifts with you and your church in the near future! Welcome! This is where you'll find everything you need to know about my ministry, hear my music, and see what I'm up to these days! Be sure to visit the schedule page to see if I'm coming near you soon! This year is off to a great start!!! It has been a blessing to be able to share my story and see God at work in the hearts of so many. Upcoming dates include concerts with The Ascension Quartet and The Griffith Family. I hope you’ll join us for what I know will be great nights as we worship together!! Be sure to sign up for the newsletter below so we can keep in touch. See you soon!! Keep up to date by joining the newsletter! All past information, including Dee Dee's magazine feature from Winter 2015 is located in the Archives, available here. 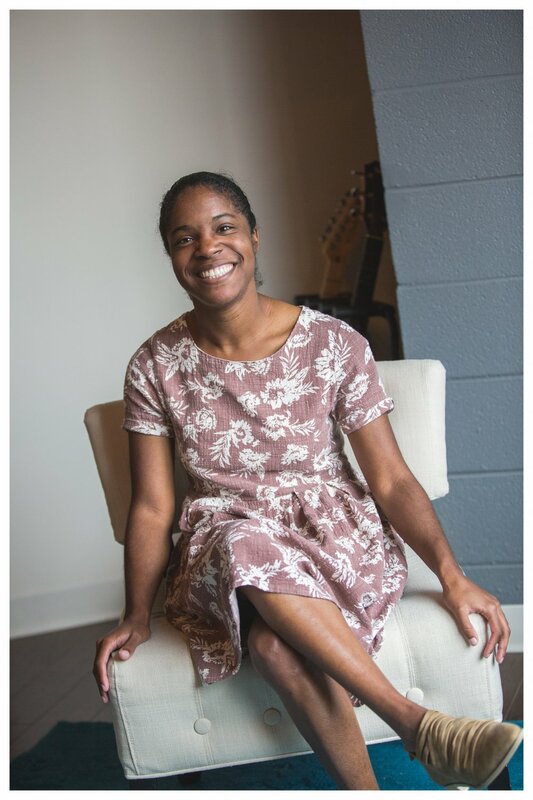 Interested in inviting Dee Dee to minister during a service or event at your church? Click the button below for a PDF of information. You can also fill out this form.